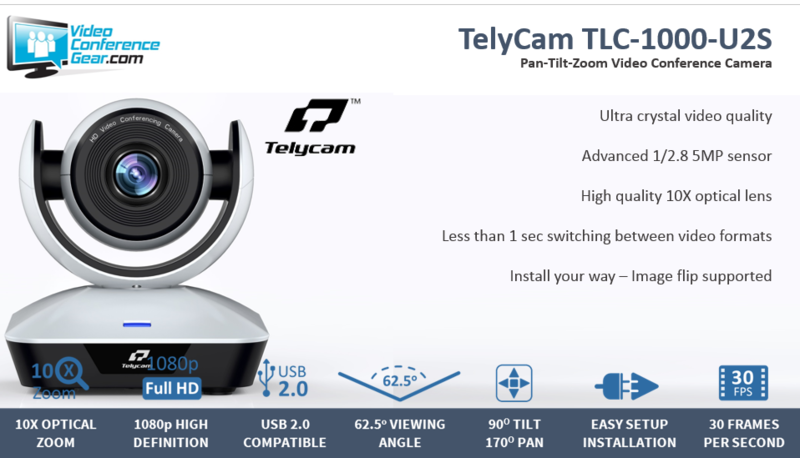 Introducing the TLC-1000-U2S HD-USB 2.0 PTZ video conference camera. This is one of the best cameras we have tested with price and performance…we know this will make your meetings much more productive and boost your efficiency immediately! 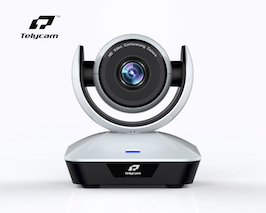 We have worked closely with TelyCam to refine their firmware to work perfectly with Zoom & Zoom Room's. Other camera companies need to upgrade their internal hardware (PC boards) to adapt to new technologies. Not the TelyCam line of cameras, firmware upgradeable in case the someone like Apple makes changes to their USB 2.0 bus or a new app hits the market and needs something special. In our testing we have thrown every possible application at this camera, without fail it performs great. Wonderful colors and the ability to adjust the brightness for your room environment to give you that perfect image everytime. What makes this camera so good we’ve put our reputation on it and given our stamp of approval? Easy USB 2.0 - It just works. 62.5 Degree Horizontal Field of View - Perfect for conference rooms with long tables or distance learning rooms, utilize the wide field of view to see more participants and use your entire meeting space. Quality Built, Well Priced! 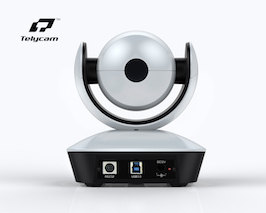 - Great video conference equipment no longer needs to cost so much! We’ve already weeded out the other cheaper versions and truly found the best value. Give this a try today, you won’t be disappointed! Time-Saving Presets Built Right In - Set the camera to up to 128 different positions to be set at the perfect angle every time! No more adjusting or fiddling before your meetings…just turn it on and go! Plus so many more platforms! Try yours today without any risk! 10x Optical Zoom gives a clear view of even distant faces or props. 62.5 Degree Horizontal Field of View allows more viewers and participants even in tight spaces. Ultra crystal video quality: 1/2.8 5MP sensor Mega Pixel Sensor keeps images crisper, gives you greater detail, and allows for larger screen displays without pixelating or blurring images. 128 Preset Positions lets you just turn it on and you’re ready to go! No configuring or adjusting necessary.